Hi do you have fsc code genarator ? is it attached ? Hello. there is a problem. every car says a manipulated version. what should I do? Hi. 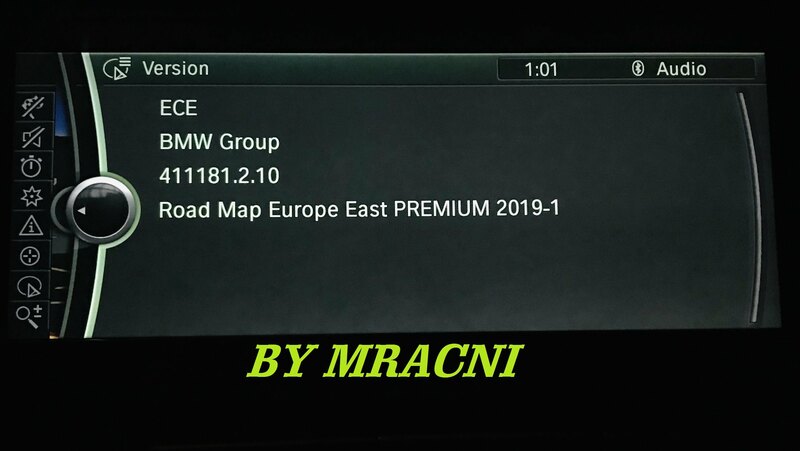 I updated my navigation to 2019-1 east europe, but after finishing and rebooting CIC, navigation screen is empty. When I go to navigation menu only blank pop-up screen with map version and no any maps. What is problem? (30-10-2018, 22:26 PM)ivo_it Wrote: Hi. I updated my navigation to 2019-1 east europe, but after finishing and rebooting CIC, navigation screen is empty. When I go to navigation menu only blank pop-up screen with map version and no any maps. What is problem? Turn of your car, lock it and wait about 10 min. Than start the car and it should be all OK. Sometimes car computer needs to fully shut down and than is all ok.